At the request of many Chinese believers, underground and official, the Vatican issues a statement to explain matters related to illicit ordinations and subsequent excommunication of bishops (ordaining and ordained). The guilty parties should make a public gesture of penance, abstain from the Eucharist, the sacraments and government of the diocese. All this is a "medicinal" cure to allow for reintegration into Catholic communion. The full text of the Declaration. Vatican City (AsiaNews) - After major appeals and demands from the Chinese Catholic Church, the Pontifical Council for Legislative Texts has published a statement to clarify crimes, penalties and remedies for an episcopal ordination without Papal mandate (illegal) . This request for clarification has come from official and underground Catholics after the illicit ordination of the bishop of Chengde, 20 November (see Chengde, eight bishops in communion with Pope participate in illicit ordination - photo). It is even more urgent because the government threatens more future ordinations without the mandate of the pope. The text of the Declaration, which we publish in full below, appeared in the Osservatore Romano on 11 June. The issue was also addressed days ago Mgr. Savio Hon, Secretary of the Congregation for the Evangelization of Peoples (see Rev. 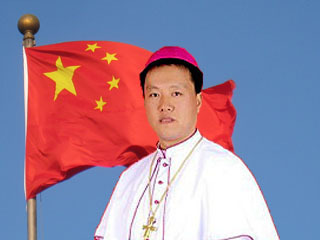 Savio Hon 03/06/2011: Chinese bishops should have no fear and say no to Beijing’s demands, says Mgr Savio Hon). First we present the main elements. In the first paragraph, the meaning of the text is explained, which seeks to clarify code No. 1382 for an adequate knowledge of penal morms related to illegal ordinations and how to adopt them properly. The second deals with the "crime" as an external act, which is a violation of Church law. According to Catholic doctrine, this act is considered a "crime against the Catholic doctrine" (and it cites the Second Vatican Council and other documents, noting that this principle is accepted by the Eastern Churches). The "crime" to which it refers is illicit ordination, when it is conducted without papal mandate. The third section explains who the people involved in crime are: the consecrating bishop, the consecrated and participating bishops. The fourth paragraph explains that faced with this crime, the Church has two ways to impose a penalty: ferendae sententiae and latae sententiae: the first comes at the conclusion of a real trial, in which the penalty is imposed by a court with a sentence. In the second case (latae sententiae), there is no need for explicit ruling of the court. The act already done automatically implies excommunication. The Code also indicates a number of circumstances for which the latae sententiae penalty is mitigated (eg fear of serious physical violence, external conditions, ignorance, ....). According to Code 1324, par. 3 if there were mitigating circumstances, the latae sententiae penalty is not incurred . In this way - even if the sentences are a little confused - it gives space to each bishop, who has been implicated in acts against the Catholic doctrine, to personally verify his position. In the fifth paragraph, it is stated that since there have been actions that have caused scandal to the faithful, the bishops involved must find a way to remedy by making due penance. Those who admit to have fallen into this crime and this excommunication, shall refrain from three things: 1) taking part in the celebration of the Eucharist as a minister or any other ceremonies of public worship, 2) celebrating the sacraments and sacramentals and receiving any sacrament, and 3) exercising ministerial functions and carrying out acts of ecclesiastical government. " If they do so, even knowing this, they are making gestures against God's law and thus committing sacrilege. The sixth paragraph says that the Holy See may have to directly censor bishops who have this canonical responsibility. This will depend largely on their refusal to explain themselves, or their decision to continue to perform acts contrary to communion. The Holy See can declare that they have already fallen into excommunication, or launch other penalties against them. 1. The Pontifical Council for Legislative Texts has been requested to clarify some details regarding the correct application of canon 1382 of the Code of Canon Law (C.I.C. ), especially in relation to the canonical responsibilities of the subjects involved in an episcopal consecration without the necessary apostolic mandate. The question, as such, does not give rise to doubts about the law as such, but only requires some elucidations which serve to ensure adequate knowledge of the most important points of the penal norm and the manner in which it should be held to be applicable in concrete cases, taking into account the personal circumstances of the subjects who take part in committing the offence. 2. As is known, Canon 1321 defines an offence as an external violation of a law or precept, gravely imputable by reason of malice or culpability. The canon adds that where there has been an external violation, imputability is presumed, unless it appears otherwise (Canon 1321 § 3). For the offence to exist, it suffices that the offender know that he is violating a canonical law; it is not necessary that he know that a penalty is attached to the canonical law. Canon 1382 C.I.C. punishes with a latae sententiae excommunication reserved to the Apostolic See the Bishop who without the apostolic mandate consecrates someone as Bishop and also whoever receives episcopal ordination in this way. This offence violates Catholic teaching confirmed, among other things, by the Dogmatic Constitution Lumen Gentium, Nos. 22 and 24, and by the Decree Christus Dominus, No. 20, and included in Canon 377 § 1 C.I.C. : “The Supreme Pontiff freely appoints Bishops or confirms those lawfully elected” and in Canon 1013 C.I.C. : “No Bishop is permitted to consecrate anyone as Bishop, unless it is first established that a pontifical mandate has been issued”. Canon 1382 C.I.C. is, first of all, a disciplinary norm of the Church which, as Canon 11 C.I.C. indicates, holds only for the baptised members of the Catholic Church or for those already received into it. Furthermore, it corresponds to the offence described in Canon 1459 § 2 of the Codex Canonum Ecclesiarum Orientalium, even if there are no latae sententiae penalties in the penal tradition of those Churches, which is why the same penalty is inflicted ferendae sententiae. 3. The offence punished by Canon 1382 C.I.C. is one committed both by the Bishop who consecrates and by the cleric who is consecrated. Furthermore, since episcopal consecration is a rite in which it is usual that more ministers participate, those who assume the responsibility of co-consecrators, that is, who lay hands and recite the consecratory prayer in the ordination (cf. Caeremoniale Episcoporum, Nos. 582 and 584), are co-agents of the offence and therefore equally subject to the penal punishment. This interpretation has also been confirmed by the tradition and recent practice of the Church. 4. However, with regard to the punishment of the offence, the penalty of excommunication stipulated by Canon 1382 C.I.C. is subject to the general conditions required by canon law for the effective and completely certain incurring of a latae sententiae punishment. As is well known, apart from the general penal punishments inflicted ferendae sententiae by the legitimate authority by means of a sentence or decree on the conclusion of the corresponding penal procedures, the canonical system also contains so-called “latae sententiae” penalties, which do not depend on an external judge who inflicts them but only on the committing of the offence, without prejudice to what is prescribed in Canon 1324 § 3. This Canon exempts from the specific latae sententiae penalty if it is found that there are circumstances which, in accordance with § 1 of the same Canon, though not excluding the penalty as such, mitigate it. Canon 1324 § 3, in fact, specifies that the offender does not incur the latae sententiae penalty if one of the circumstances listed in Canon 1324 § 1 is found to exist. Hence, in the case of an episcopal consecration without the apostolic mandate, each subject is to be considered singly and according to his own personal circumstances as far as incurring the penalty of latae sententiae excommunication reserved to the Holy See is concerned. These personal circumstances may be very different and, in some cases, may constitute attenuating circumstances stipulated by the law. In this regard, Canon 1324 § 1 C.I.C. points out that the heat of passion, being a minor, grave fear, even if only relative, necessity, unjust provocation, or ignorance of the canonical penalty, for example, are attenuating circumstances which exclude the latae sententiae penalty in the forms indicated by the law. Few of these circumstances may be found to exist in the offence of consecration without a mandate. There is, however, a set of attenuating circumstances described in Canon 1324 § 1, 5° C.I.C. which history has shown to be compatible with offences of this nature: when the person, who committed the offence as the one ordaining or the one ordained, was “compelled by grave fear, even if only relative, or by reason of necessity or grave inconvenience”. In the concrete case of an episcopal consecration without the mandate, the attenuating circumstance of grave fear or grave inconvenience (or the exempting one of physical violence) must therefore be verified in relation to each of the subjects who intervene in the rite: the consecrating ministers and the consecrated clerics. Each of these knows in his own heart the degree of his personal involvement and right conscience will indicate to each one whether he has incurred a latae sententiae penalty. 5. With regard to the canonical responsibilities of the subjects involved in an episcopal consecration without the necessary apostolic mandate the following, however, must be added. The external committing of an act punished by Canon 1382 C.I.C. spontaneously provokes reactions among the faithful, including scandal and confusion, which may in no way be underestimated and which call for the Bishops involved to recover their authority through signs of communion and penance, which can be appreciated by everyone and without which “only with difficulty could a Bishop’s governance be accepted by the People of God as a manifestation of the active presence of Christ in his Church” (Pastores Gregis, No. 43). Bishops, in fact, as the Second Vatican Council teaches, govern the particular Churches entrusted to them “by their counsel, exhortation and example” (Dogmatic Constitution Lumen Gentium, No. 27; cf. Canon 387 C.I.C.). Furthermore, we recall that Canon 1331 § 1 C.I.C. points out that the excommunicated person is prohibited from 1) taking part as a minister in the celebration of the Eucharist or any other ceremony of public worship; 2) celebrating sacraments and sacramentals, and receiving any sacrament; 3) exercising ecclesiastical ministerial functions or acts of government. These prohibitions enter into effect ipso iure at the very moment in which a latae sententiae penalty is incurred. Hence, there is no necessity for any authority to intervene to impose these prohibitions on the subject: awareness of having committed an offence suffices for the person who has incurred the punishment to be held before God to abstain from such acts, on pain of committing a morally illicit and therefore sacrilegious act. However, even acts derived from the power of order and carried out in these circumstances of sacrilege would be valid. 6. Obviously, all that precedes does not exclude the possibility, in cases of episcopal ordination without the papal mandate, of the Holy See’s finding itself in the position of having directly to inflict censures on the subject, for example, were an attitude incompatible with the requirements of communion to be shown by his successive behaviour or reluctance to provide the necessary explanations about the degree of his involvement in the offence. Furthermore, on obtaining new and certain information, the Holy See could even find itself having to declare the latae sententiae excommunication or impose other punishments or penances, were this necessary in order to repair the scandal, dissipate the confusion of the faithful and, more generally, safeguard ecclesiastical discipline (cf. Canon 1341). The penalty of latae sententiae excommunication stipulated by Canon 1382 C.I.C. is a censure reserved to the Holy See. As a censure, it is a so-called “medicinal” penalty, because its aim is to move the offender to repent: once he has demonstrated that he has sincerely repented, he acquires the right to be absolved from the excommunication. Furthermore, since it is reserved to the Holy See, the repentant offender can approach only to the Holy See to obtain absolution from the excommunication and be reconciled with the Church.